*Editor's note: This story has been updated to include additional comments from Correct Care. Three years ago, a company called Geo Care Inc. failed to win a contract from the Texas Health and Human Services Commission to privatize the Kerrville State Hospital, one of the state's 10 psychiatric facilities. So the company's lobbyist, Frank Santos, circled back and provided HHSC Executive Commissioner Kyle Janek with a blueprint for how the agency could successfully privatize other state hospitals — maybe Austin, Kerrville, San Antonio and Rusk — which would then allow Santos' client to bid for the work. The blueprint included proposed timelines and lists of influential legislators whose favor might be curried to bring together such a public-private-partnership, also known as a "P3." "I've attached a memo that describes 4 separate options available for a P3 initiative," Santos wrote to Janek in an Aug. 6, 2013 email. "We ranked then according to which hospital provides the best outcome for success." 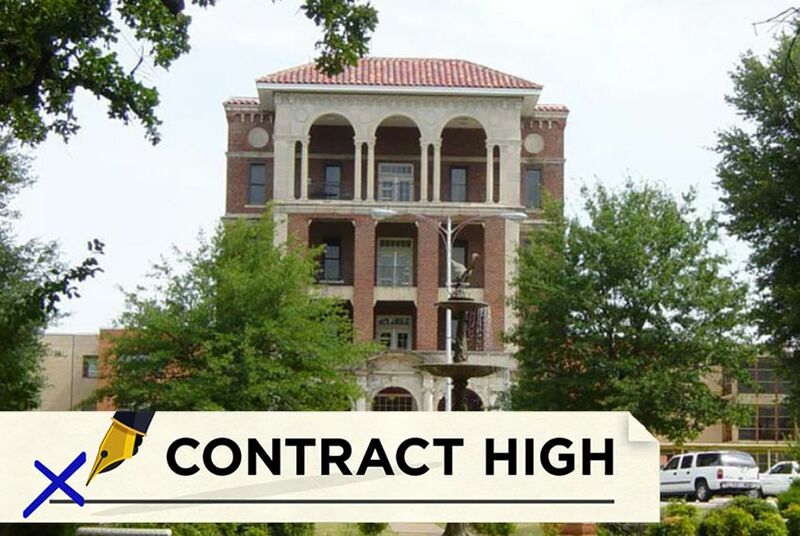 Fourteen months later, Geo Care, which changed its name to Correct Care Solutions, won a contract to privatize the Terrell State Hospital. It was the only bidder to submit a complete application. The emailed communications between Santos and Janek, as well as phone calls and meetings, appear to break no laws. In fact, the state's own statutes allow vendors to approach government agencies with "public-private partnership" ideas. But the optics for Janek, who has been bombarded with calls for his resignation, are something else entirely. According to his agency calendar, Janek met with Santos on May 8, 2013 and July 24, 2013. At the July meeting, GEO Care CEO Jorge Dominicis was also scheduled to attend. The Austin American-Statesman reported late Thursday that Janek had at least 11 phone or text conversations with Santos and another Geo lobbyist, Gabe Sepulveda, in the first six months of 2014, just before HHSC put out a request for bids to privatize Terrell State Hospital. Correct Care also said it followed the rules in pursuing contracts. Janek, the former state senator and physician at HHSC's helm, has been fighting for his job since December, when it was revealed the lobbyist for Austin firm 21CT, which won a $20 million fraud tracking software contract with HHSC, was a former business partner of the commission's attorney and ethics officer, Jack Stick. That and other revelations about the way the 21CT contract was awarded have produced scathing reports from a team picked by Gov. Greg Abbott and the State Auditor's Office. Investigations by the FBI and the state public integrity unit are still ongoing. And so far, newspaper editorial boards in Houston, Austin, Fort Worth and San Antonio have called for Janek to resign. "No doubt, the problems at HHSC are bigger than any one person, but it’s hard to see how Janek can stay," wrote the editorial board for the San Antonio Express-News. "He must go." Janek said the 2013 email from Santos, a onetime lacrosse coach for Janek's son, did not sway him when the commission put a request for bids from companies interested in privatizing Terrell State Hospital in 2014. Janek spoke extensively about how he worried how it would look if only one person emerged the victor in the Terrell privatization project, as had happened in 2012 when Geo was the single bidder for a privatization project for Kerrville State Hospital. That project was scuttled because Geo could not meet the cost savings threshold for the state. But Janek said he was also concerned that the project hadn't drawn more bidders. “I don’t like this. It was only one vendor. … There may have been others that expressed interest, but at the end of the day, there was only one true respondent," Janek said of the Kerrville bid process. In the Terrell project, the commission sought bids in June 2014. Multiple entities expressed interest but, again, only Geo submitted a complete application, Janek said. The only other serious contender, Green Oaks Hospital, failed to provide a detailed plan on how it would use historically underutilized businesses, or HUBs, to complete the project. "Green Oaks was non-responsive on several fronts, one of which was HUB," Janek said. He also said he felt that he could not coach Green Oaks to get them to complete the bid so they could have a better chance against Geo. The prospect that Geo Care's lobbyist was in close communication with Janek throughout the procurement process could provide further ammunition for critics who have already questioned whether the HHSC contracting process is fair. The agency handles about $60 billion in state contracts, more than any other Texas agency. The state auditor report's last month on the Terrell State Hospital contract found that the commission went with a contractor — GEO — who did not present the best value for the state, and failed to get the approval from the Texas attorney general's office as required. But the report also pointed to how the agency's executive commissioner — Janek — gave verbal approval to awarding the Terrell project to Geo before the bids from Geo and Green Oaks could be evaluated, raising more questions, particularly with the disclosures about Geo's lobbying efforts, about whether Janek had made his mind up months ahead of time. On Thursday, Janek denied that was so in a statement. “My door is open to advocates, stakeholders and the vendor community. We want to hear people's ideas and concerns," his statement reads. "A representative of a company emailed us a plan for contracting out state hospital operations. We didn't use any of those ideas, and it didn't influence my decisions. I believe it's important to look at innovative ways to improve the services we provide to the people of Texas, and that guides my actions." Correction: An earlier version of this story incorrectly identified Geo Care lobbyist Gabe Sepulveda as George Sepulveda.